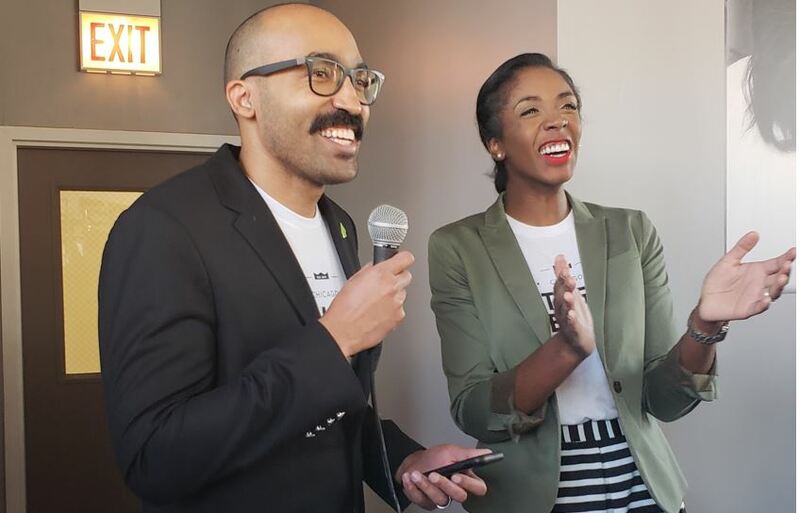 Jennifer and Cory Barnes wanted to open the first independent coffee shop and café in Chicago’s South Shore neighborhood. With extensive backgrounds in academia, the couple saw an opportunity to invest in their community in a new way. They envisioned a gathering place that would bring residents together and would tie in deeply with local community initiatives, including hiring and training local high school students. Despite widespread community support, a lack of direct industry experience combined with the risk of a new food venture prevented the Barnes from obtaining conventional financing. Sponsor Jake Stern introduced the Barnes to CRF who immediately saw their passion and extensive work in the community. Impressed by their business savvy and their dedication to increasing job and higher education opportunities, as well as the unique offerings of the coffee shop, CRF approved a CRF Patient Capital Loan to support the opening of the café. With financing secured, South Shore Brew opened in February 2019. The business will hire locally and provide job readiness training to 17-24 year-old employees. As part of their commitment to supporting the community, all the artwork in the café will come from local high school students and 100% of the sales of the artwork will fund the high school’s college tour fund. They are also collaborating with other community-driven organizations to provide job opportunities and youth development.